Regular Fellaini hair: cool. 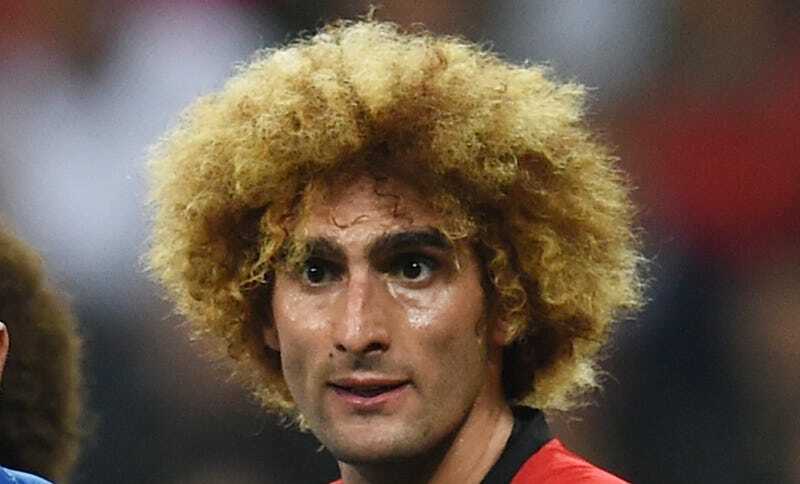 Fellaini hair dunked in a vat of peroxide so that it loses its appealing form and texture and instead resembles an stringy mass of nasty yellow cotton candy: uncool. Stay cool, Fellaini.